Something for you to ponder over on this very gorgeous Sunday. What are your thoughts on keeping a journal of your thoughts and actions? Please share your thoughts in the comments below. 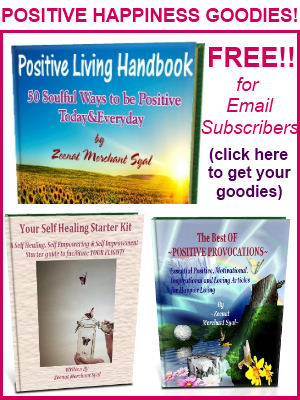 PLUS if you are an Email Subscriber, You get My Free Ebook & a free Positively Positive Newsletter on the 15th of every month with the months highlights+Positive Living Affirmations +New Tips and articles which are not published on the blog. You are a shining star! You so beautifully know yourself..and that is such an amazing quality in you. What is more amazing is that you truly have understood and used Journaling to your advantage. You are living proof of how beautifully this mode of self examination can work. Thank you fro sharing your experience here Joy. WOnderful thoughts to ponder on this beautiful day. Throughout the years, I have strted to journal several times, but I seem to have difficulty maintaining one. I find that my life is documented more through other things I write, the music I make or perhaps a bit of prose. Sometimes even a poem I have written. I think I need to learn more on how to “live slower”. Thanks for getting me to think on this today. I hope you have a wonderful day! Just know that whenever everything around you seems topsy turvy breathe slowly…..everything will just fall into place. I used to keep a diary for about 10 years of my life and an almost daily journal for about a year and a half – both taught me a lot. But at the same time, I wasn’t surprised by the results or what I occupied my time or myself with. I found both therapeutic and sentimental for the time being, until the day came where I decided to throw away all of my diaries. I was a new person, the past me, was no longer in existence. So it is interesting that as I went through my personal spiritual transformation, I shed using both. That is not to say that I don’t like the practice or don’t value it. I do and a lot, I just did it for long enough I felt, where I wanted to be free and in the moment. Today, I know that not all moments of each of my days are spent in the most qualitative way, but I also know to be aware of that. You and me have both been through similar experiences. I too have written many different journals..and then done away with them…just in practice to let go of some of the baggage. It helps immensely. currently I keep an electronic diary and use this only to get things off my head. Maybe I am never going to read it again. Since I am in a transformation process it could be scary to read in the future what I am writing now. The day will come when I decide whether to read the old stuff and learn about my past self (and maybe discover new insights) or to let go and just delete all of it. So, currently the diary is more like a trash bin to me. While Keith said he needs to learn more on how to “live slower”, the trash bin attitude towards this diary of mine helps me to accelerate again 🙂 So, when I clear my mind by ad hoc writing about things going on in my life, it let’s me see clearer, what is most important at the moment and that helps me to keep moving and focus on constructive action. Also I accustomed myself to planning and keeping a schedule in my mobile. I skim through the entries every 2 weeks and put a “~” character in front of the planned things which I really did and a “@” in front of omissions. Sometimes I move the omitted entries into the future if possible, giving those things a second chance 🙂 Sometimes I just delete them if they are no longer relevant and I decide not to remember. Most of the entries I keep though. So in the future I have the opportunity to take a look and see the things I did and the things I omitted. Maybe I am going to discover patterns in the data. Might give me a clue what my mind was set on in a certain period of my life and the things I avoided. When I think about, what else was going on during the time, I might understand my true state better and shift thinking and even planning techniques if necessary. Also I express feelings and thoughts in poems and music (composing and recording). Everything I produce from true creativity I keep. This gives me a chance to also go through that material from time to time, to recall the mood I was in. Since this material is an expression of feelings and experiences, it is a way to return to the emotional state I was in then, understanding myself better, remembering emotionally. And finally I am about to start my own blog about self development. This is going to help me setting goals and consciously focusing on and committing to my life process as opposed to the “trash diary”. And my my you are so organized…and have literally devised such beautiful ways of self examination. I agree that journaling is awesome….but if there are other methods that work for you..then by all means work with them. thanks for your encouraging words. I will proudly and happily give you the URL then, promised. Looking forward to it. Dear Z, I never had a journal, I am not a writer but a talker. Every morning I talk myself through my feelings and every night I talk myself through the feelings of the day. I take breaks in which I check my body tenseness and my feelings. I am aware when I am not enjoying myself and I have learned to stop and talk. I am privileged to have a listening ear so obviously I do not need a journal to listen. But I can see the value of a journal as a listening ear. And a listening ear is such a lovely way of putting it. A diary or any other means of self examination do infact work that way. In talking and listening to your won thoughts….clarity emerges. I know what you mean. I’m a thinker to 🙂 I personally maintain journals in phases…and then do away with them. In between those phases though thinking works best 🙂 But as I’ve said before…whatever means of self examination you use, the important thing is to examine yourself and become better everyday. 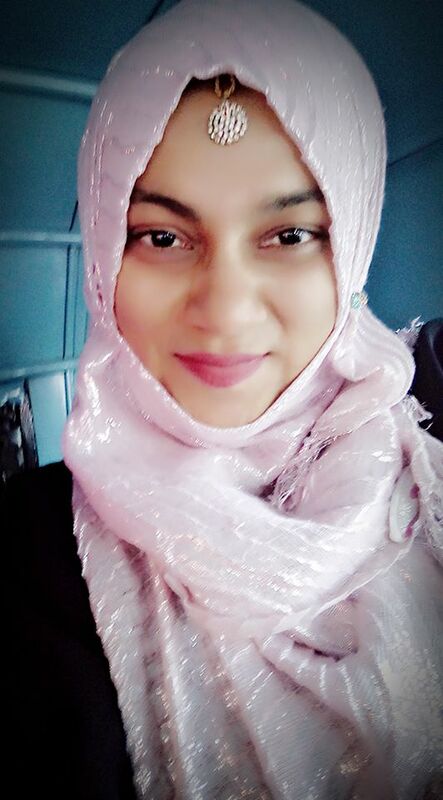 Hi Zeenat, I’ve tried this before but I can never keep it up. I’ve done this at work, and it led to a short period of greater productivity. Especially while I was journaling, since I was accounting for my time. I imagine that by accounting for everything on a daily basis, would really open your eyes to what our lives are really about. You’re right..and now that you’ve tried it at work..why don’t you try it for your life itself. You never know what new revelations a re waiting for you there. When I was younger I tried to keep daily diaries but eventually my commitments would fade and they would fall into disuse. However, almost 7 years ago now I started a private blog for the purpose of examining my own thoughts, and in it I have faithfully conducted conversations with my inner self in it on almost a daily basis. There I briefly recount the events of the day as they occur or soon afterwards so I can access them later and see where I have made progress and where I have more work to do. Later on in the day, usually in the evening, I expand on the brief entries and flesh them out by recording my thoughts and feelings in response to the events of the day. I analyze not only my own reactions and emotions but also the reactions and emotions of others. In my private journal I also record what I achieved during the day and by that I’m not referring to getting the housework done … lol 😀 . I record my hopes and dreams, I celebrate the small victories, and I recognize each failure as a stepping stone to future success. Most importantly I recommit to my goal of becoming the very best me that I can be. Without doubt I am a fan of private journaling because what it has done for me is to provide very deep insight into the workings of my subconscious mind. I don’t hesitate to sgare that jounaling has been the most useful tool I have found for self discovery, for raising my self-awareness, and for reducing stress. And, that’s why I agree with your recommendation. Every person who is undertaking the self discovery, personal growth and development journey ought to be made aware of this marvelous tool and ought to consider using it.